With more than 30 years of digital recording under our belt, we have arrived at a place where we can use 24-bit technology to bring us the analog smoothness we all love, yet gives us the added dynamics and detail that are positively live in their character. To achieve this, all we need is hard drive space and computing power. But up to now, the vast powerful, digital rigs were expensive and complex — with proprietary interfaces, etc. 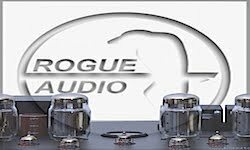 Digital audio recording is now at a crossroads where even the most astute commercial, savvy home studios and live sound companies are rethinking the need for full blown, complex recording rigs with massive investments in PCI cards and I/Os needed to put together a complete system. 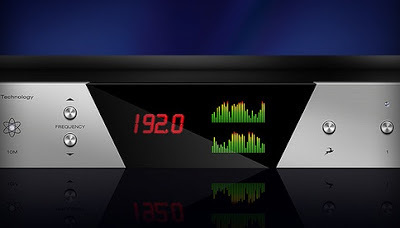 The trend to downsize digital rigs without losing quality is typified by Antelope Audio’s new Orion32, a 32-channel A/D-D/A DAW 1RU-sized interface, retail priced at an incredible $2,995; it has come along at the perfect time. The Orion32 is the product that just could be a pivot point for many recording engineers who want to keep options open, rather than committing to expensive proprietary hardware systems. I wouldn’t mind rolling into a live venue with a laptop and the single-rack space Orion and handing the front-of-house engineer my one MADI cable and, later, walking out with all the tracks ready to mix. The Orion’s 32 channels of analog-to-digital conversion and digital-to-analog conversion, contained in a single rack space, is remarkable, but the feature that blows my mind is that it can record those 32 channels of audio via a single USB cable, up to 24/192. The word from Antelope is that they have created a proprietary USB 2.0 chip that does all the amazing automation required to move that quantity of data. This same specification would be nearly three times the cost of a comparable I/O Avid system, not to mention the cost of the PCI cards involved. Some of Orion32’s features, including the built-in MADI inputs and outputs (which we find are more and more available on live mixing consoles from companies, such as MIDAS) are future-looking bells and whistles that are a great example of why this unit is relevant and timely. It also has full light-pipe I/O for even more flexibility. 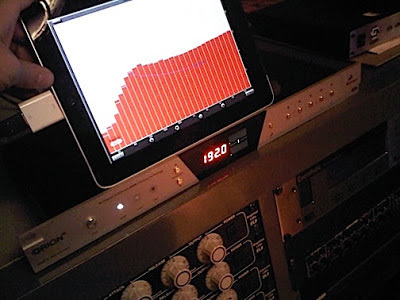 One of Orion32’s key features, for use in larger studios and video post production, is the integration of the Antelope master clock, which is well known in the audiophile community. The Orion has multiple outputs from this clock. Another key feature is the addition of its “Atomic Clock” input, which is for facilities that have vast digital routing capabilities and needs, like a large broadcast facility or massive live sound system. Antelope makes an Atomic Clock generator, said to be one of the most accurate clocks on the market. Digital clocking is a specialty of Igor Levin, the founder of Antelope; in fact, we still have Levin’s Aardvark-manufactured digital distribution clock in use at Sirius-XM. As with many computer recording interfaces, the analog I/O comes via a DB-25 connector/cable bundle, which saves a massive amount of chassis space and are readily available. There is also the standard SPDIF I/O as well. The unit has a very simple front panel, with what I would describe as micro-meters, that show all 64 (32 A/D-32 D/A) channels’ activity. You can easily spot digital overs, regardless of the small size. The Orion has five preset buttons for various setups, one for tracking, one for dubbing, one for surround etc. ; more on those presets later). It also has a sample-rate selection switch and clocking indicators. All recording is done at 24-bit. The Orion’s 32 channels of analog-to-digital conversion and digital-to-analog conversion, contained in a single rack space, is remarkable, but the feature that blows my mind is that it can record those 32 channels of audio via a single USB cable, up to 24/192. Overall the Orion32’s connections include: Analog Inputs are 4 x D-SUB 25 (32 channels). Digital inputs are 1 x fiber optic MADI, 2 x fiber optic ADAT, and 1 x S/PDIF. The analog outputs are 4 x DSUB (32 channels). The digital outputs are 1 x MADI, 2 x ADAT and 1 x S/PDIF. USB 2.0 I/O is via a data stream of up to 480Mbits/192 kHz. Word clock I/O includes the 1 x 10M Atomic Clock input, 1 x Word clock input and 4 x word clock outputs. As an all-in-one A/D/D/A with expansive connectivity, the Antelope Orion32 has impressive specifications. On the A/D side, Antelope specs 118 dB for dynamic range, and THD+N at -105db. The D/A converter is spec’d at 118 dB dynamic range and THD+N is -98 dB. One of the most incredible specifications is the clocking stability, due to Antelope’s fourth-generation clock with 64-bit DDS, oven-controlled crystal oscillator that puts the stability at &lt;+/-0.02 ppm. Although in our testing we heard no audible latency, Antelope has tested the latency between 1ms-6ms, depending on user settings and sample rate. The selectable sample rates are: 32-, 44.1-,48-,88.2-,96-,176.4- and 192 kHz. 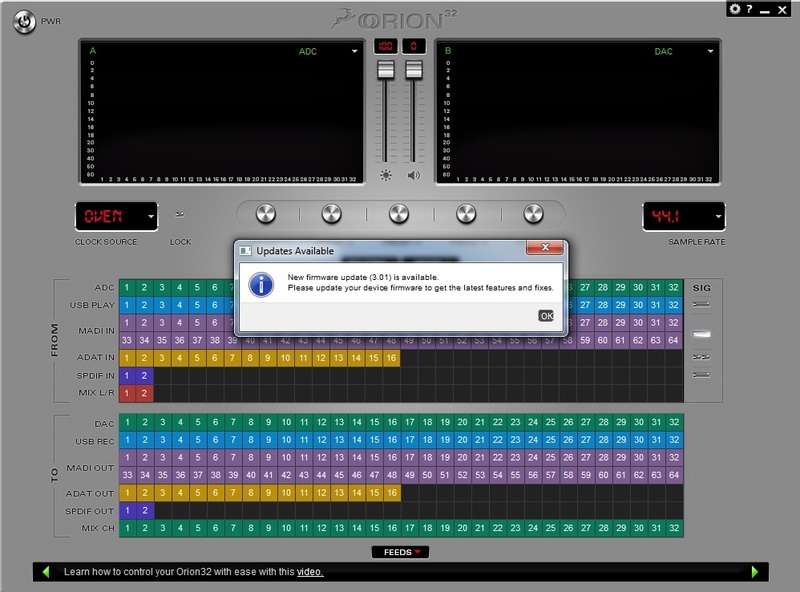 The Orion32 ships with an Apple/PC control panel that is required to establish your input and output preferences. An Internet connection and a computer are necessary setup items for first use. But the control panel has drag and drop functionality and is very quick to get up and running. All this digital horsepower and channel capacity comes in a standard 19-inch rack and weighs a minuscule 6.6 pounds. It is but only 8.6 inches deep. While we have used other multi-track systems via USB port, the sheer volume of the Orion32’s recording ADCs to USB input is what we wanted to check out first. After connecting connected its USB cable to a Macbook Pro 2011, we downloaded the latest version of Antelope’s Orion32 software. Antelope requires an Internet connection on first launch, which prompts you through registration, as well as updates of the firmware. After all the software formalities, it was time to feed some audio to the Orion32. For the first test, I routed all of the ADC inputs via the USB to 32 channels of Avid ProTools 10 at 24/96 and hit record. On the back-end, we routed all the channels back to DAC 2 outputs and into a pair of ADAM S3A active studio monitors — all via Mogami balanced cables. When engaging record and hooking up a single mic and preamp for throughput and stability testing, I immediately noticed the lack of input-to-output latency in the system, which always is a concern with native processing systems. The Orion32 passed with flying colors. For the stability check, I left the Orion32 recording for two hours on the internal drive of the Macbook Pro. It did not crash, glitch or hang up in any fashion — even with all the tracks being used. This USB interface is rock solid. We then scheduled a bonafide recording session with the Orion32. We used two recording setups. One was through our house system and one through the Orion32. The house setup consisted of two Schoeps omni C-6 microphones through the Sirius-XM Sony Oxford digital console’s ADCs and mic preamplifiers, fed into ProTools at 24/48 (the max rate of the Sony). The second setup was two Schoeps omni C-6 microphones through two Focusrite 110-A reissue preamplifiers and then into the Orion at 24/96. This obviously was not a pure apples-to-apples shoot out, but I wanted to hear the difference between the 10-year old $600,000 Sony Oxford system vs. a $3,000 multichannel recorder of today. Since we had the option of two monitor playback systems, we decided to have both microphone pairs up during the live performance of Stile Antico, the famed classical choir from the UK. The performance was recorded at our Sirrius-XM main performance room here in DC. As we switched back and forth between the two setups, I immediately noticed the difference between the old and the new. Through the Orion32, the first notes from the choir were airy, clean and detailed. The music was very life like. The frequency-extended Schoeps microphones were relayed with abundant detail on the top-end. Every “S” and breath from the choral group was like they were in the room with us. 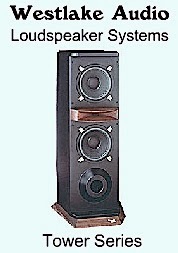 The musical “air” in the room and the low end were so much more accentuated than the audio from the old, very expensive Sony Oxford system, which has its roots in 1995 digital technology. In direct comparison, the Oxford sound lacked the live character of the Orion32 and had a harder edge. In one vocal section, my other engineer and I simultaneously turned to each other and said “do you here that?” There was a distinct, gritty artifact in the ultra-high range coming from the house system. But when the Orion32 was punched up, the grit was replaced by a more natural smoothness. 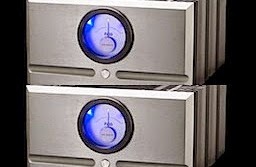 The Orion32’s converters are indeed impressive! There have been numerous advances in converter technology since the 1990s, and the sonic improvements in dynamic range, smoothness, accuracy and lower noise are easy to hear through the Orion32. For example, some of the soprano vocals in the choir were popping with energy in the stereo mix — way more than the old Sony system. 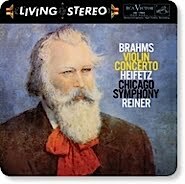 The live character of the recording cannot be overstated. Not only did the piano and room come alive — with the myriad overtones — but also the subtle brilliance of the usually dark-sounding Steinway was much easier to pinpoint in the mix. After the choir left, we pulled out the Steinway D grand piano and set up a pair of the classic DPA 4011 omni-directional microphones for another listening test. This time, we used the Apple Logic recording software — via the Macbook Pro as the front end to record the audio. To capture all the brilliant nuance of the Steinway, I set the sample rate to 192 kHz and only used the Orion32 test system. The playback was absolutely vivid. Not only did the piano and room come alive — with the myriad overtones — but also the subtle brilliance of the usually dark-sounding Steinway was much easier to pinpoint in the mix. The nuance in the dynamics was again, as was with the choir, undeniably improved. The feeling of ‘being in the room’ with the piano was quite evident, as these converters showed no digital impurities of older systems. After a couple months of use, I formed a highly positive opinion of this single-rack multichannel unit A/D/D/A interface for the computer DAW. The Orion32 may just be just the perfect, modern recording system — for dedicated, hard-working home studios up to the high-end, audiophile-caliber recording studio. It can deliver a few tracks or a lot of tracks — as clean as you please. Another instrument that I always like to bring out for converter testing is a set of chimes, which to my ears has always been difficult to reproduce; the complex overtones that exist north of 10 kHz don’t seem to sound natural on many converters. Through the Orion32, the recordings of my chimes came through without any of the crunchy character usually heard with 16-bit or cheaper recording ADCs. Although the Orion32 excels in the high-class caliber of classical and jazz music, it was equally at home on pop music styles. I recorded a Fender Jazzmaster, played through a Fender Vibro-King amplifier, which has Celestion Alnico Blue speakers and fitted with hand-selected 1960’s NOS preamplifier tubes. This is a fantastic-sounding guitar rig and worthy of high-resolution recording! 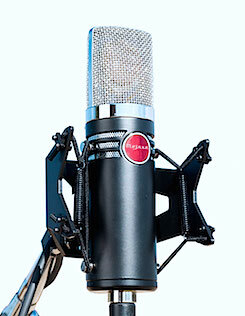 I placed a Royer 121 ribbon microphone on one of the three Alnicos and recorded at 24/192, again in Logic. The sound was nearly analog heaven! 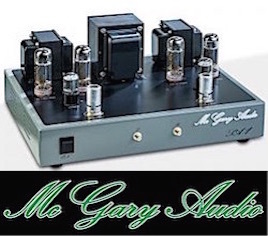 This electric setup was a great example of the tube sound and how to keep that warmth that you spent so much money to create. In the past, this rig ended up sounding like a cold digital recording when using with older pro systems. Not with the Orion32; the warm character came through, yet the dynamics of the playing were obvious and very precise. Overall, I have no real complaints about the Orion32. In general, it was intuitive in all its setup and operation menus. Though there has been Internet discussion about stability issues, the Orion was Mr. Reliable, at least on the Mac, once the latest software was installed. The Orion32 has numerous features, including its handy presets. If I owned an Orion32, I would make a custom preset for the routing of a split of the ADC audio back to the DACs and feed them into our Aviom 16-channel headphone mixers — which are used throughout the studio for the guest artists. Another preset could be used as a simple 32-channel ADC/32 USB for live venue multitrack capture. Yet another preset could be an overdub setup. You get the idea. The Orion32 could be all the patch bay you would need to integrate with all your external analog (or digital) processors. Overall, though, the software control panel is just plain slick, and Antelope engineers are constantly updating it. In my audio recording Utopian world, nothing could beat a quality analog 32-channel mixer, the Orion32 and a new Mac computer. The Antelope Orion32 is definitely worthy of the Everything Audio Network Stellar Sound Award. One feature that is missing from the Orion32 is channel-trim adjustment on the individual ADC inputs. The trim adjustment for each channel would enhance its use as a mobile recording rig. Many times, we get splits of a front-of-house feed after the preamps, and we are in a different location than the head mix engineer. In those cases, sometimes all we would need is a small trim — when a channel signal ends up being just a little hot. To be fair, not many computer interface recording rigs have that feature, but I put it on my wish list. It should be noted that in all our various track allocations for the Orion32, we were never able to make it choke on the Macbook Pro with 8GB of RAM, up to the 24/192 rate. Your results on track count and sample rate would be dependent, of course, on the speed and memory of your CPU. Speaking of interfacing the Orion32, I was able to connect to an iPad, via the $28 accessory camera kit; you can connect the Orion directly to it via USB. I wanted to try out this functionality — more for the novelty. I suppose if you really wanted to do serious recording, you could buy the $50 iPad app, called Auria, and actually do a multitrack recording. I've seen some YouTube videos where people have done 24 tracks through the Orion32. I used it with the AudioTools application, which is a pro-level RTA (Real Time Analyzer) accessories bundle for the iPad. The Antelope Orion 32-channel recording interface comes into the market at a price point and size that makes the product a trail blazer. While other companies are still at 16 channels, having 32 channels of A/D and D/A in one rack space is unique. There is something here for every budget. And not only is the Orion32 filled with channels, this small audio box has a more powerful I/O connectivity and better sound than some of the more well-known products now being used by the audio recording community. In my audio recording Utopian world, nothing could beat a quality analog 32-channel mixer, the Orion32 and a new Mac computer. The Antelope Orion32 is definitely worthy of the Everything Audio Network Stellar Sound Award. Jackson Macinnis is engineering manager for Sirius-XM’s Performance Theater in Washington, DC. He also is a composer, musician and film scorer.